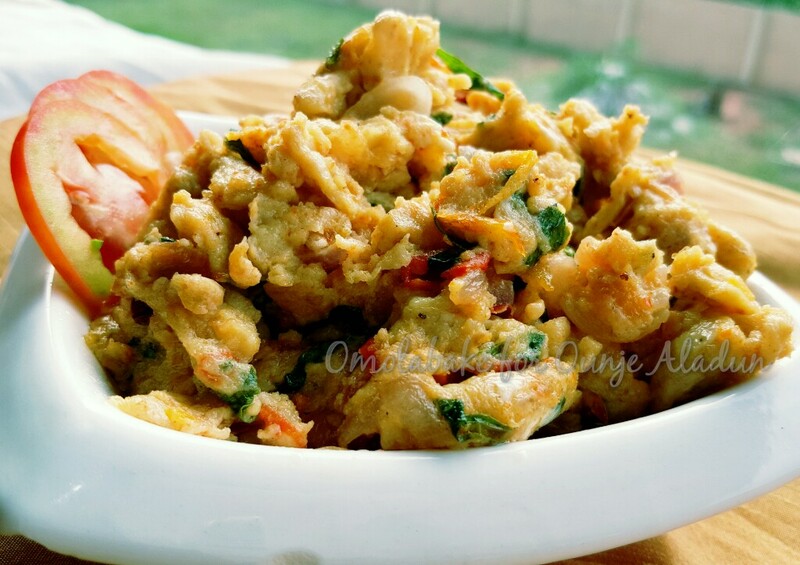 If you are an 80’s child and you grew up in Nigeria then it is very likely fried eggs featured in your weekend breakfast, Omelette, stewed eggs, scrambled eggs… or you packed it as lunch to school. You either had it with bread or yam. 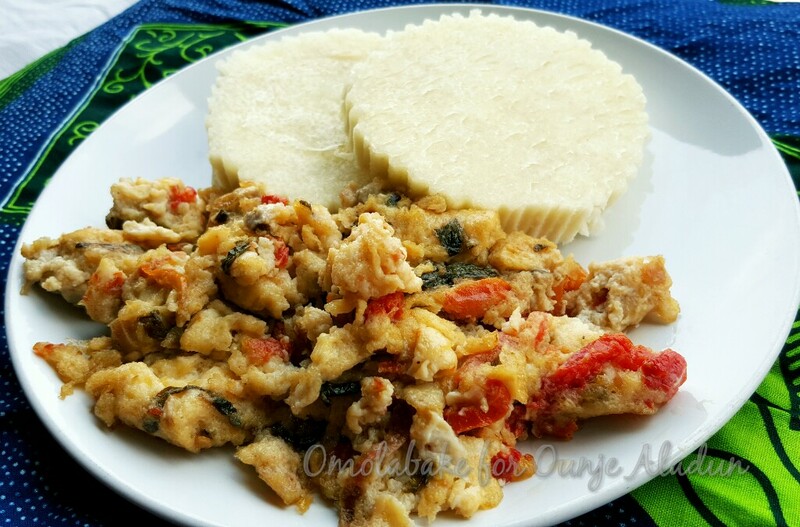 Fried eggs is a staple for breakfast any day of the week. 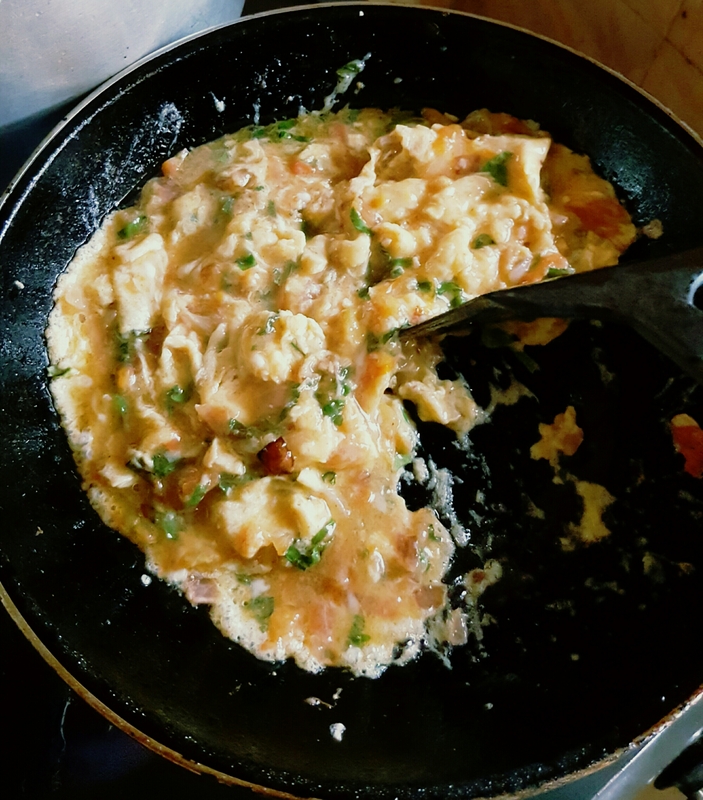 I used to love plain flat omelette or Egg stew, Mr M likes his eggs scrambled with sliced tomatoes and peppers, so marriage found me cooking more scrambled eggs. 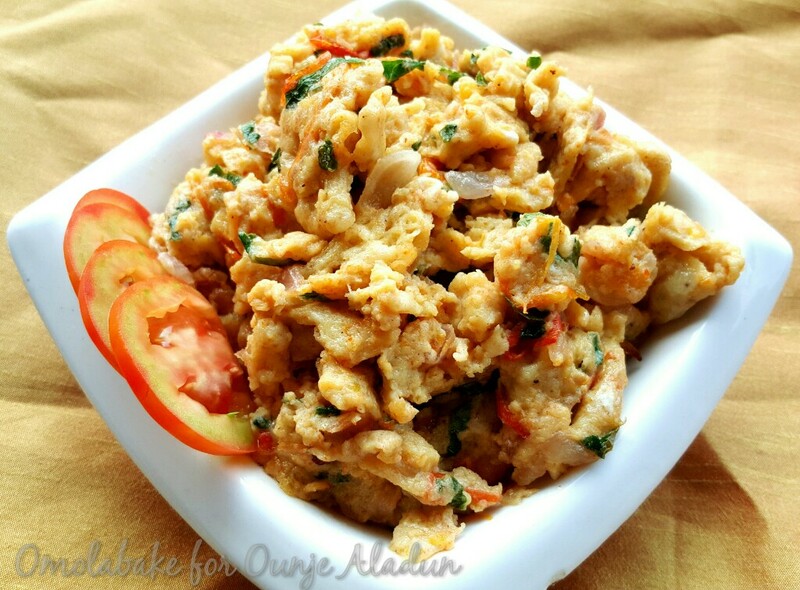 So I want to share one of my scrambled eggs recipe with you. As a child even right up until my late teenage years, I won’t touch this type of eggs with a 10ft pole, if I was ever forced, I would pick out all the onions, tomatoes and vegetables. As if karma decided to repay me, my 5yr old won’t touch this type of eggs, he generally doesn’t want to see anything sticking out prominently out of his food, it is either plain or blended in. *Seasoning (very optional though I sprinkled a bit of my Adobo Seasoning . 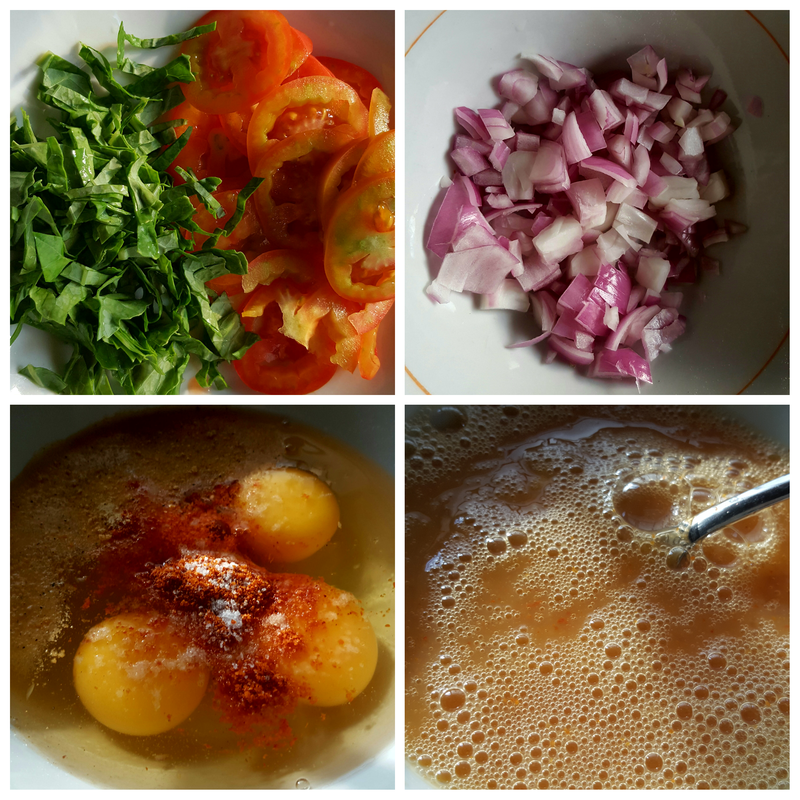 – Chop your onions , slice tomatoes , slice vegetables. I found some Kale in my local grocery and that is what I used in some of the pictures here, I used Lettuce in some others. Break eggs , add pepper , salt *optional seasoning – I think it is better to season the vegetables instead though- whisk together thoroughly. 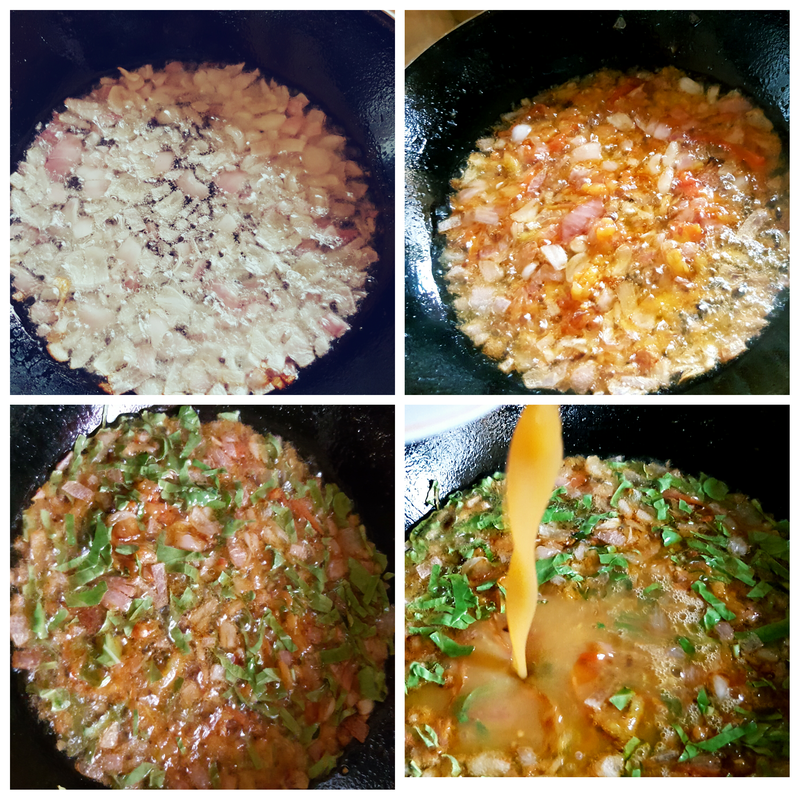 – In a pan heat up your oil and add the onions, once the onions are tender add your tomatoes , cook under low heat till tomatoes softened , the tomatoes will wilt in the pan, add the chopped vegetables , cook for about a minute or two and add the egg mix. *If you are using chopped peppers, add them after the onions before adding the tomatoes. 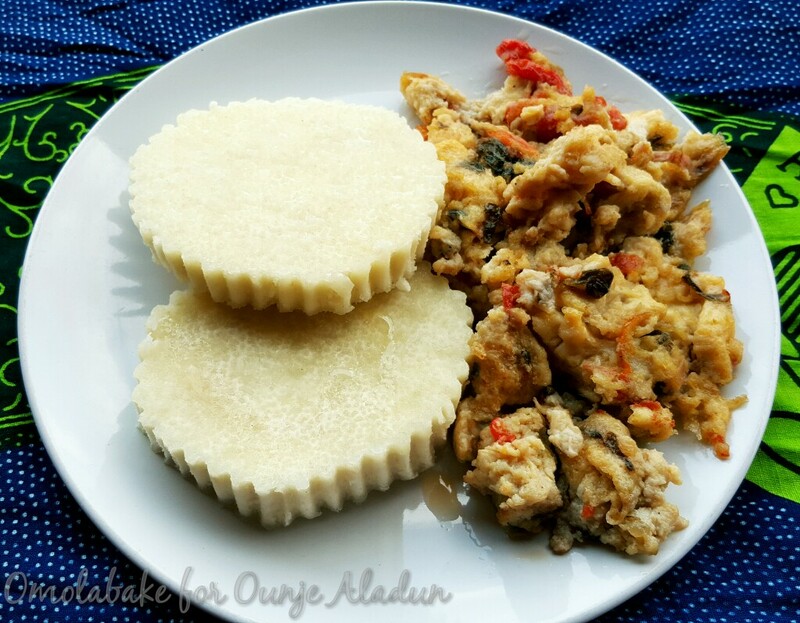 Typically with Naija breakfast, scrambled eggs can be served with Yam, Bread or Plantain, I’ve had friends pair their’s with noodles. 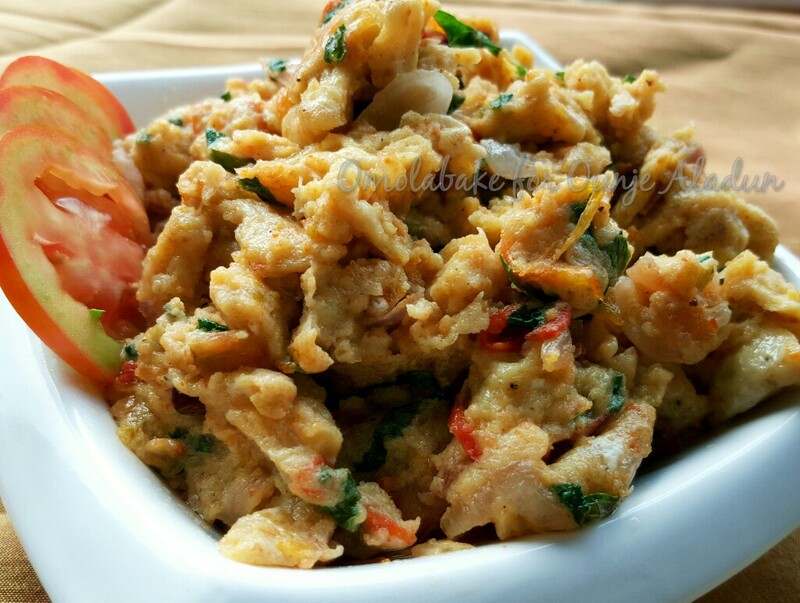 Next Article Akara: A collection of 4 types of the ultimate Street food.